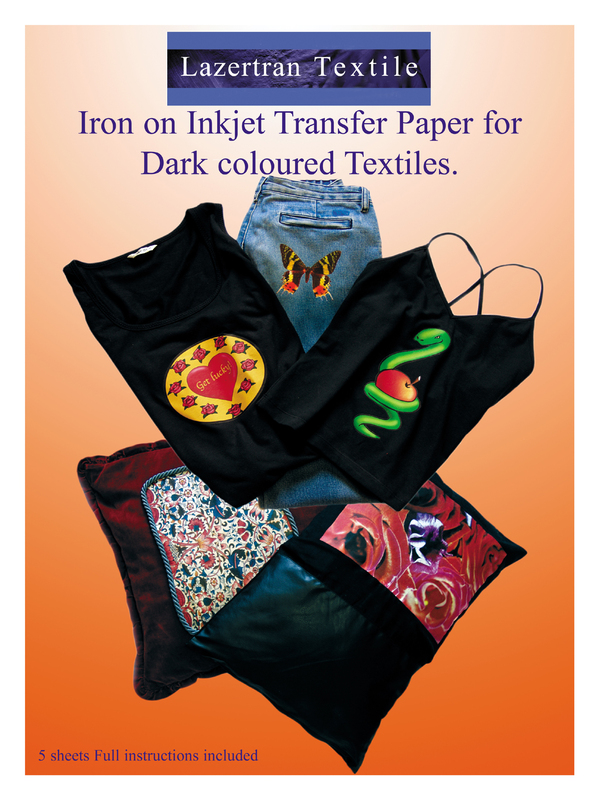 HomeAll ProductsLazertran Textile Black 5 x 8.5"x11"
Iron on inkjet transfer paper suitable for dark coloured cloth. Not for use with laser printers. Lazertran Textile White 5 x 8.5"x11"
Lazertran inkjet decal paper 10 x 17"x11"
Lazertran lazer decal paper 10 x 17"x11"